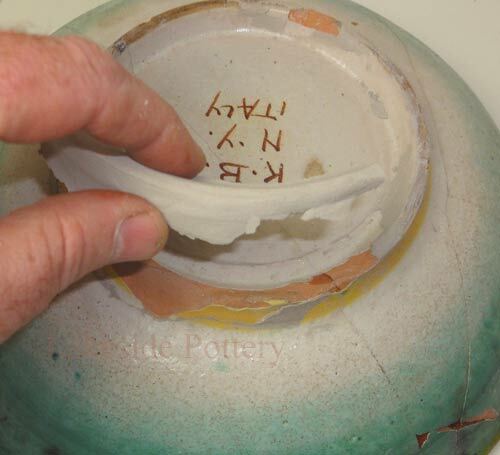 We are often asked if we can refire a broken pottery, china or a statue in a kiln and make it "perfect" again. 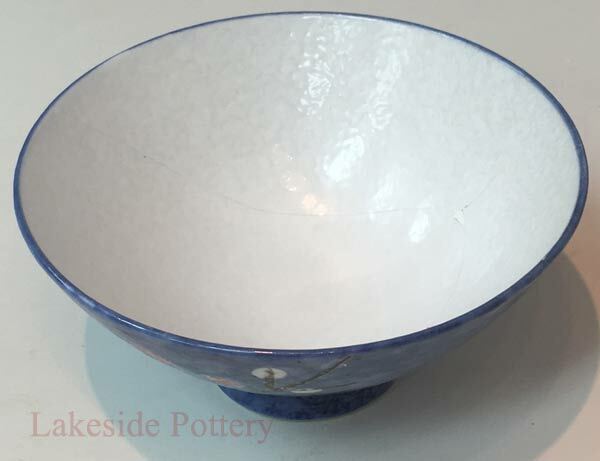 A potter simply cannot refire a broken pottery and make it whole again. 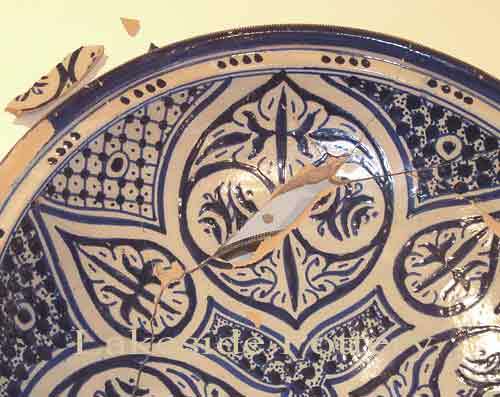 The only way to restore such an object is by using "cold materials and process". 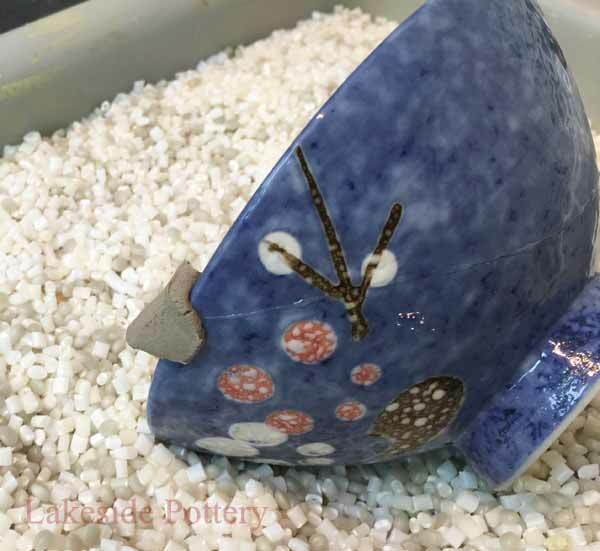 The first step to fix broken pottery or a ceramic object is by mending the pieces with two-part epoxy adhesive. 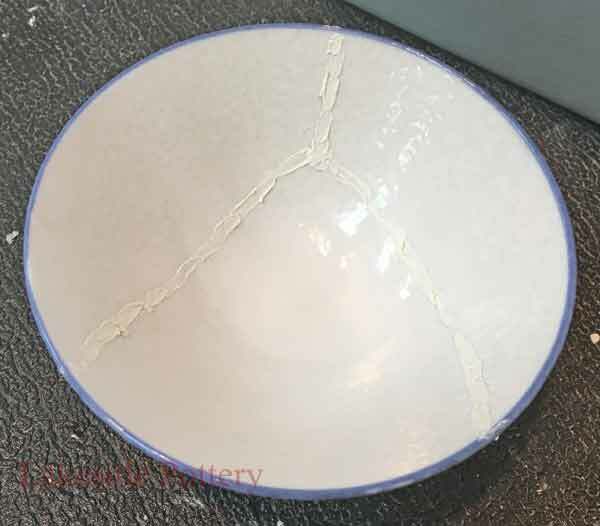 With modern adhesives, fillers, paints and cold glaze, it's possible to perform seamless repairs to damaged ceramic and pottery objects. 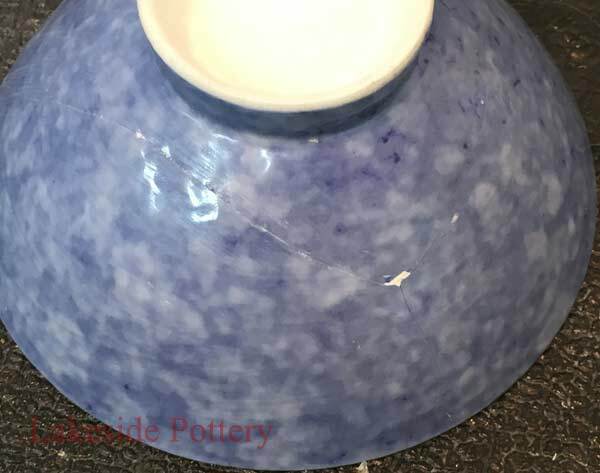 The lesson below will address the first two steps which are a) mending the broken pieces and b) filling and sanding the visible break lines, chips and gaps using the best commercially available materials. 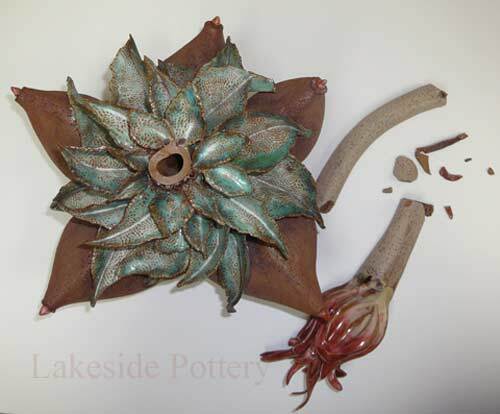 This lesson applies only to non-porous or slightly porous materials such as porcelain, stoneware, resin and glass. 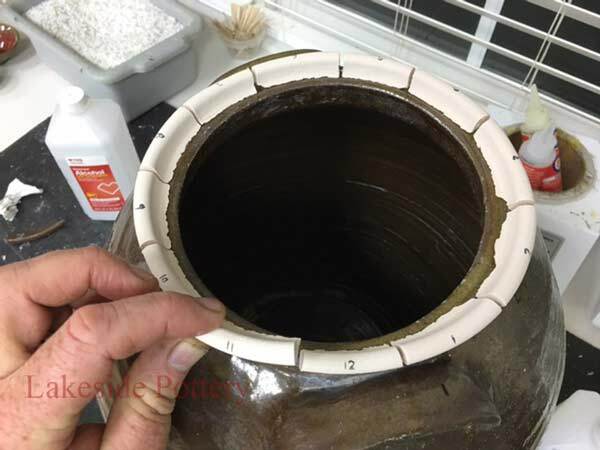 Note: When repairing more porous materials such Terra Cotta, stone or plaster, epoxy is required to be placed on both sides and heating the surface to 100 - 140 degree F prior to the epoxy application on both sides of the object improves bonding. Be aware, heating surfaces speeds up cure time and therefore reduces workability. 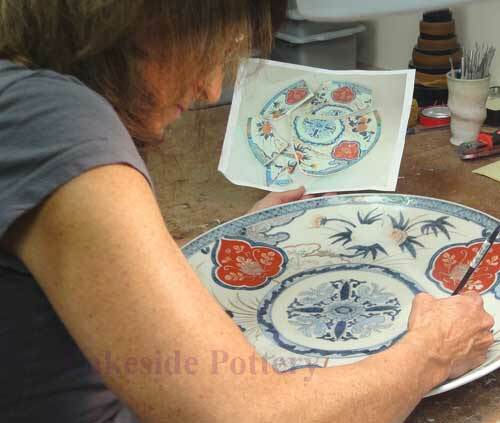 You have to achieve proper positioning twice as fast as you would with porcelain and stoneware. 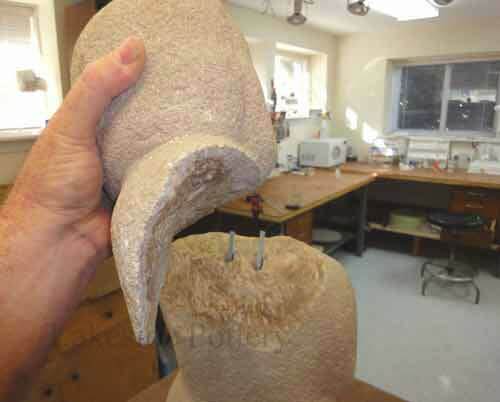 The sanding process of porous materials are also different than what is described below. 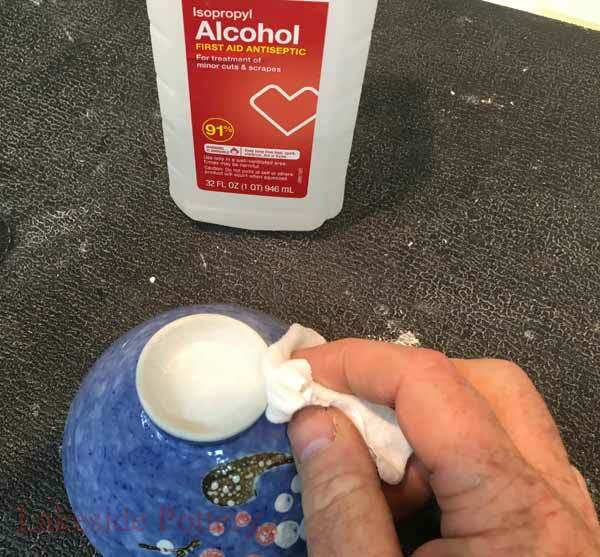 Make sure the pieces are clean using alcohol. 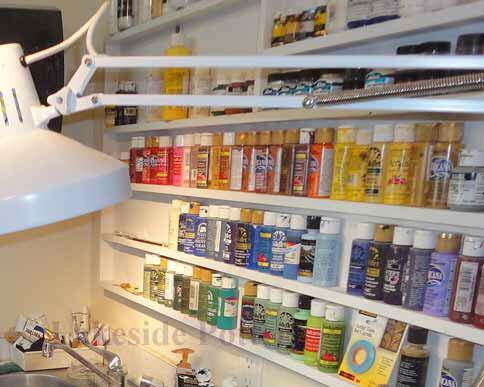 If the item has been fixed before clean off any old adhesive, or the new adhesive may not bond properly. 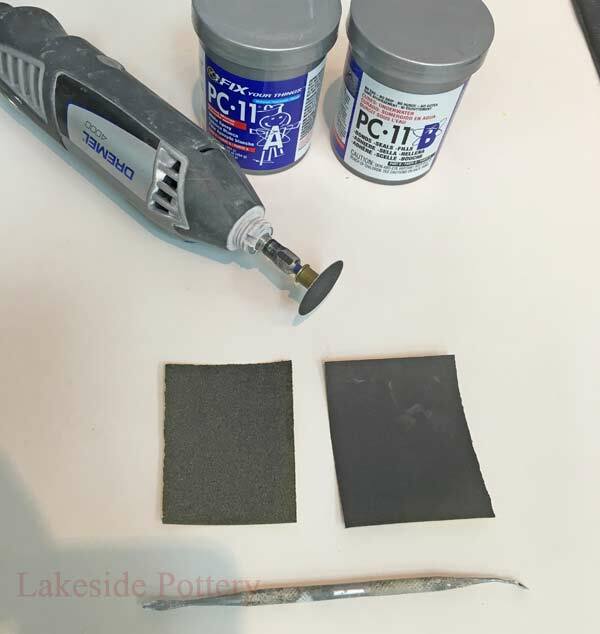 Instruction to remove old adhesives. 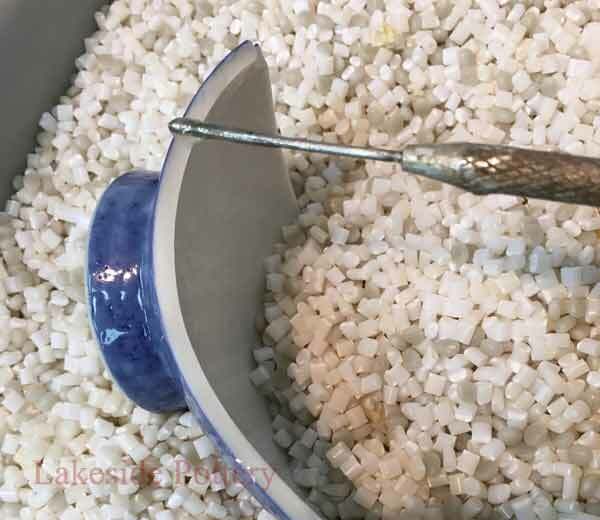 Fill a container, that is slightly larger than the piece you want to prepare with plastic pebbles, rice, or sand. 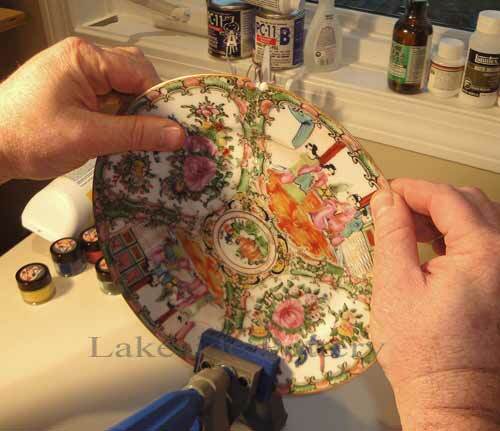 This will cradle and hold the repaired piece still and in place while it cures. 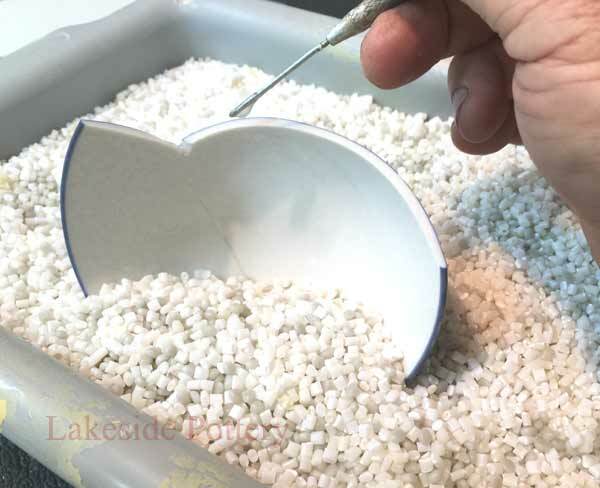 Place the larger broken part in the PVC pebbles / resin pellets (rice or sand) so that gravity will hold the top piece in place. Verify fit before applying adhesive. 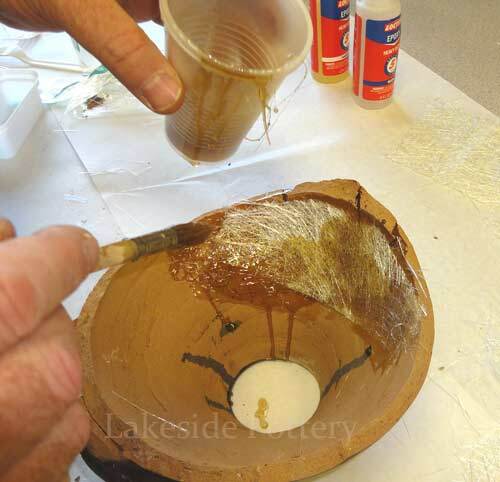 Mix epoxy well with a pin tool, paper clip or a wooden stick. 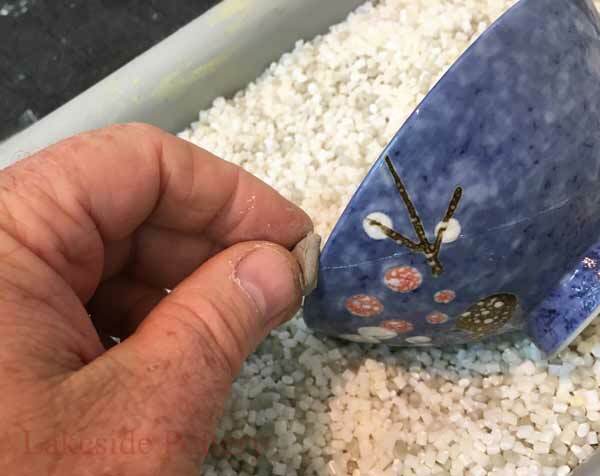 Quickly join the pieces together while applying light pressure to squeeze extra epoxy out. Use tweezers to apply small pieces. 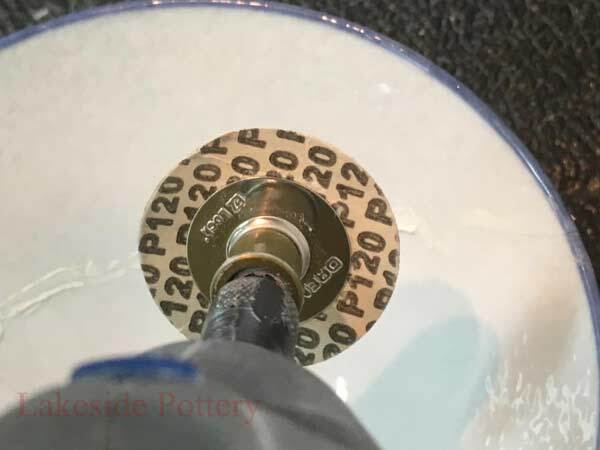 You only have about 60–90 seconds from start of epoxy mixing to placement before the epoxy becomes gummy and unworkable. 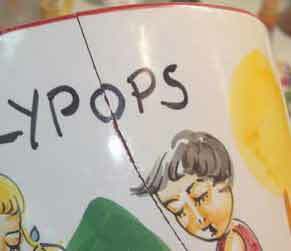 Do not wipe off the squeezed off epoxy to avoid smearing. Wait at least 20 minutes before proceeding with the next piece. 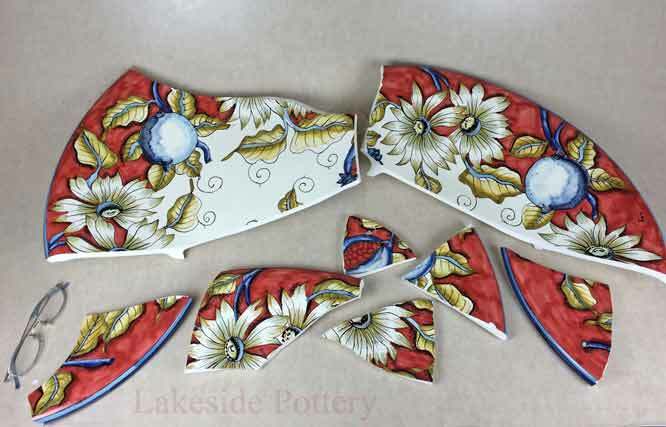 If your item is broken to more than a couple of pieces, plan the attachment sequence to avoid being left with a final piece that cannot be easily attached or fit in. Numbering the pieces after a dry run is a good idea and will assist in the actual implementation. Let each joint cure before repairing the next one. 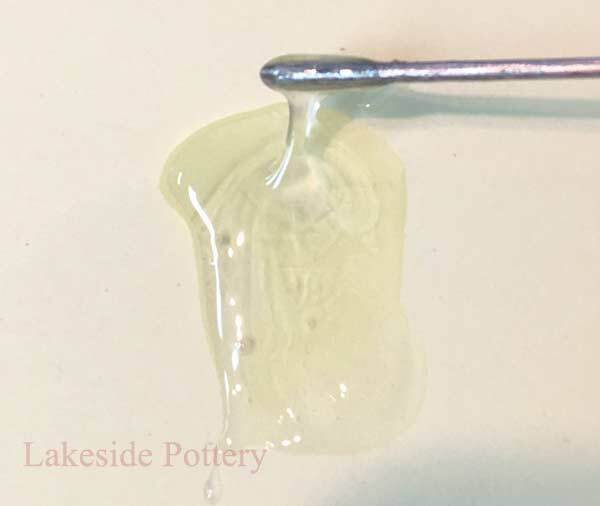 Mix even parts of PC-11 epoxy filler. For ease of application, work in room temperature of 75 degrees F or warmer. 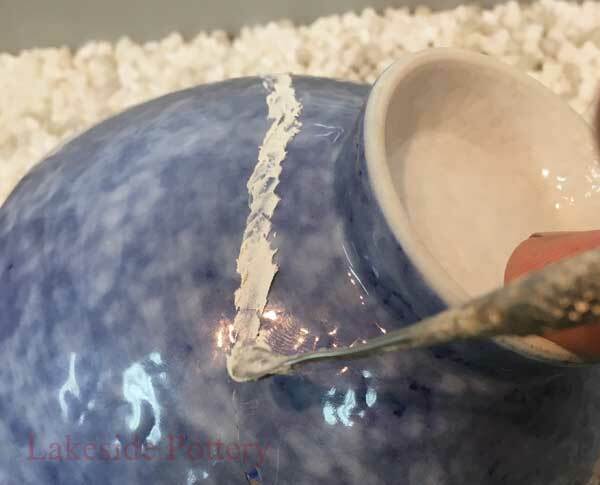 We place the PC-11 in a small heater and keep it at 100 degrees F.
Allow filler epoxy to cure for 12 hours or more at a temperature of 75 degrees F or warmer. We place our filled projects in a 140 degrees F oven over night. 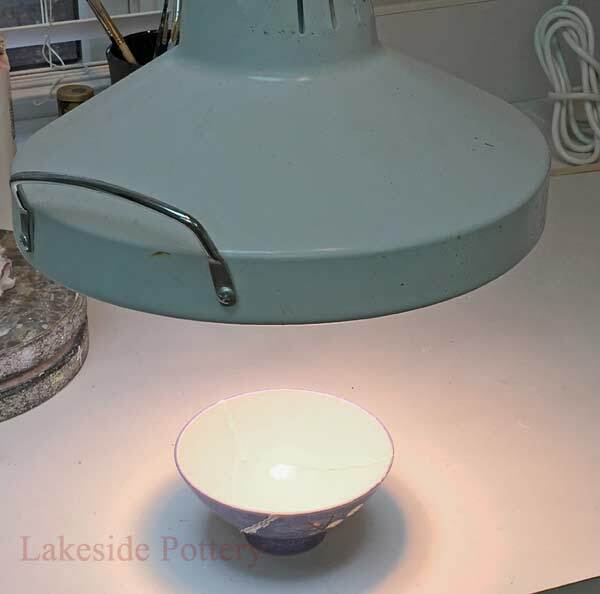 Placing under a lamp is another good option to optimize hardness for better sanding performance. Place at least 12" away from repair item to avoid overheating. 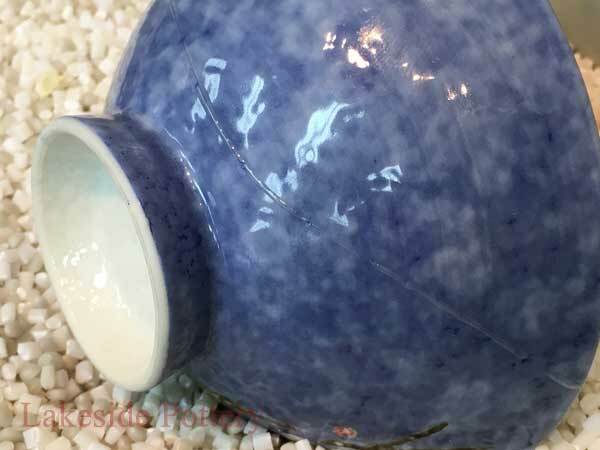 Specific kinds of adhesives are generally used to mend ceramics. 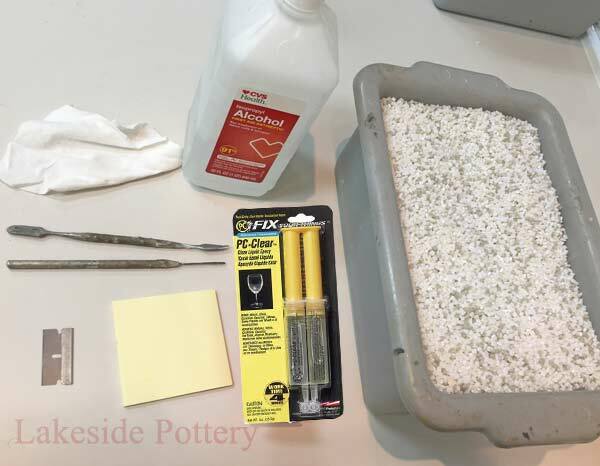 We recommend clear, 5 minute setting two-part epoxy. 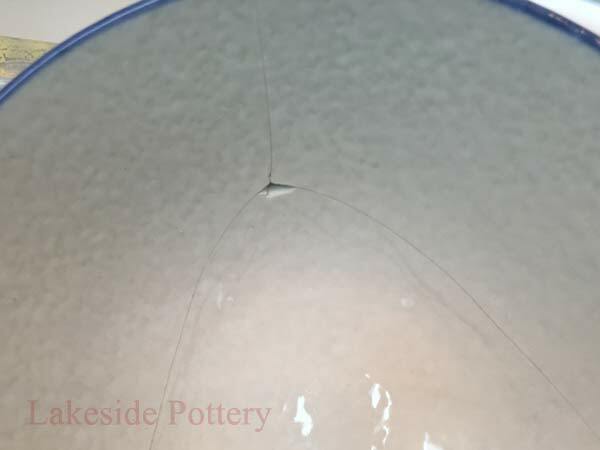 There are cases where a slower setting epoxy will work better. 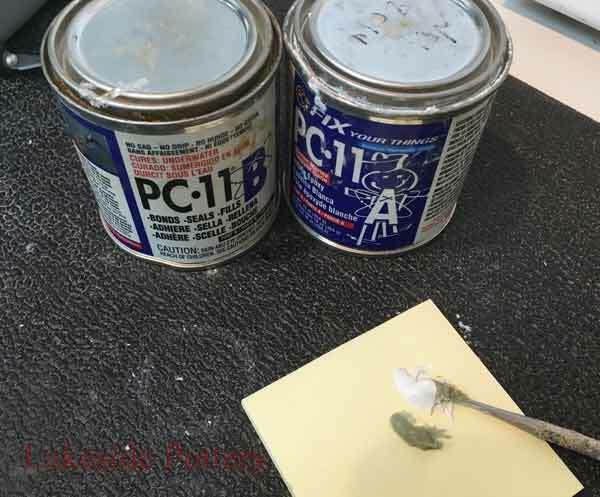 In order to choose the correct adhesive for a ceramic repair, you must first identify the type of ceramic involved. 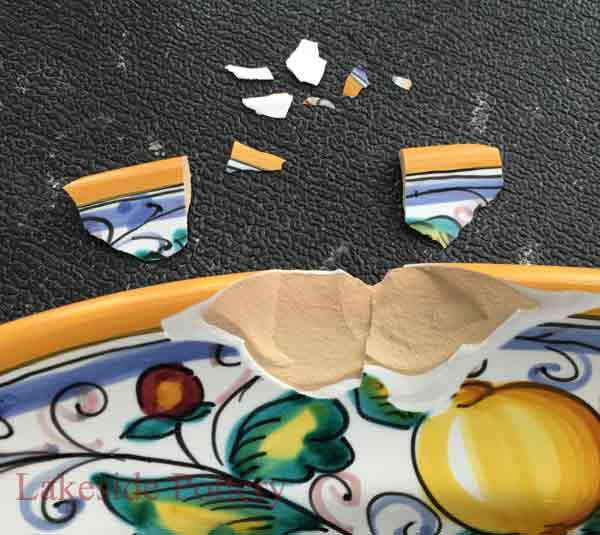 Because an exact fit is essential in repairing ceramics, you must adjust the pieces precisely before the glue sets. 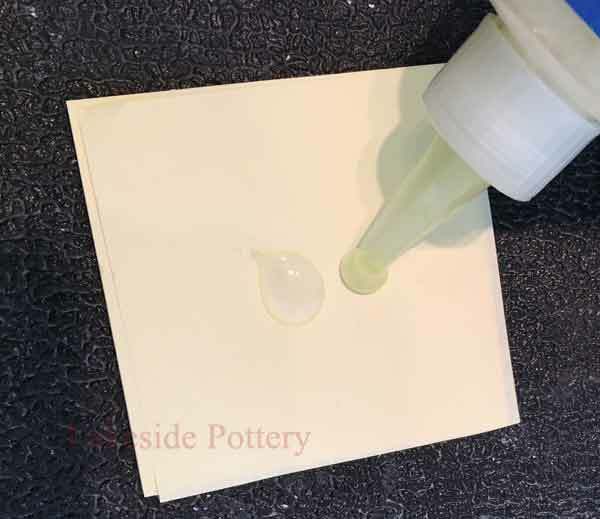 Five-minute epoxies and instant glues might cure too fast and are not recommended if you need longer time to match and adjust a precise fit. We use different adhesives for different applications. 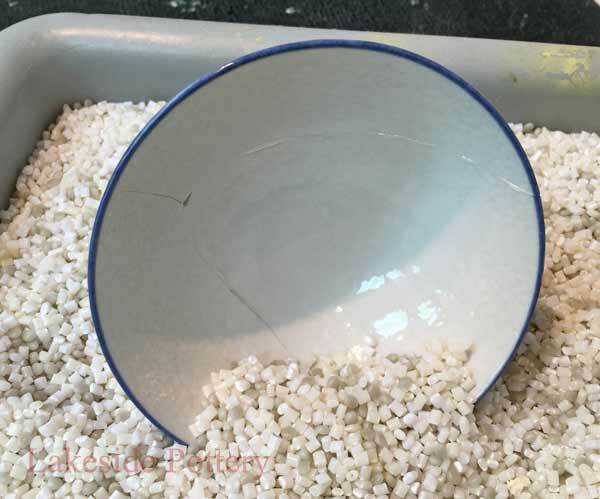 For the purpose of this tutorial, we recommend more commercially available brands that are listed in our Where to Purchase Ceramic Repair materials. 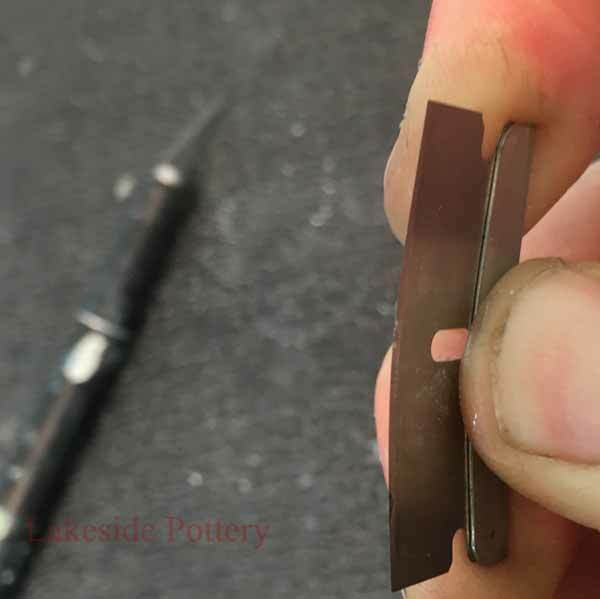 Using a wooden stick, paper clip or a pin tool, apply glue to only one of the broken edges. Use only enough adhesive to cover the edge. 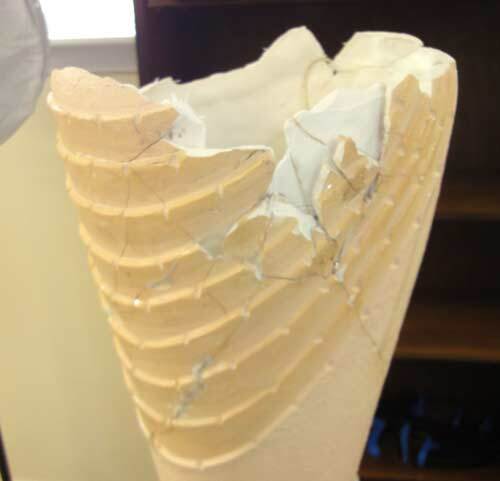 Too little will leave gaps, resulting in a weak repair; too much will make it difficult to achieve a tight joint. 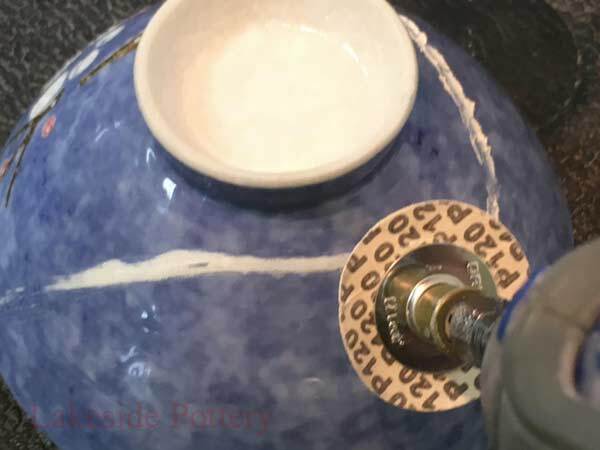 Warming up the ceramic pieces to 110-140 degrees F will thin the epoxy, creating a better fit, but will result in a faster cure time. 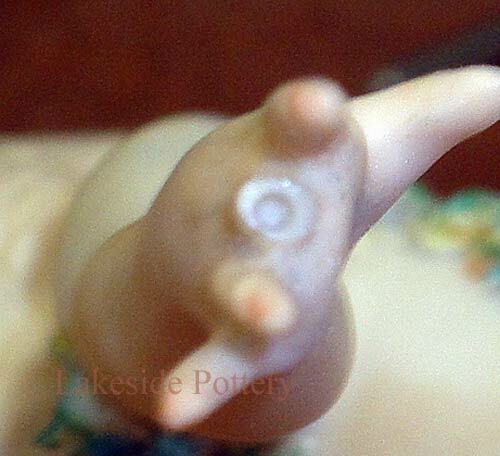 Quickly join the pieces together while applying light pressure squeezing extra glue out. 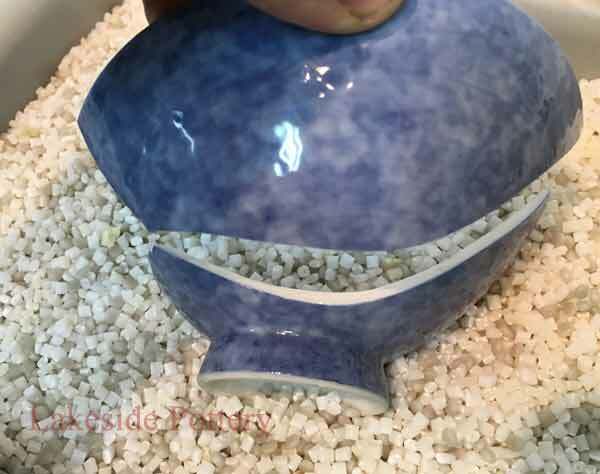 Fill a container with plastic pebbles, rice or sand which will hold the repaired piece in place while it cures. 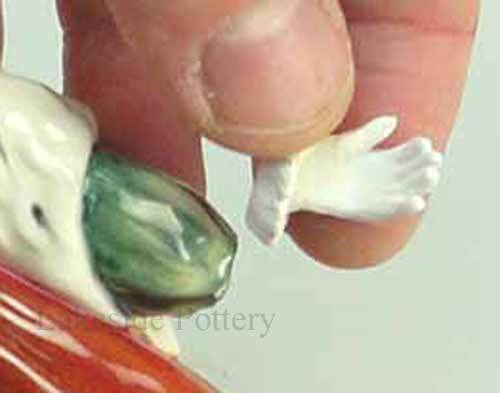 Use clay as illustrated above to hold the pieces together if gravity alignment is not possible. 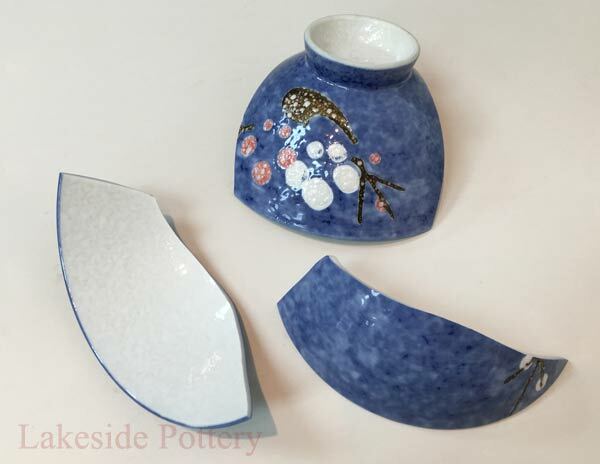 Avoid shifting the pieces; small particles may come loose, ruining the repair. 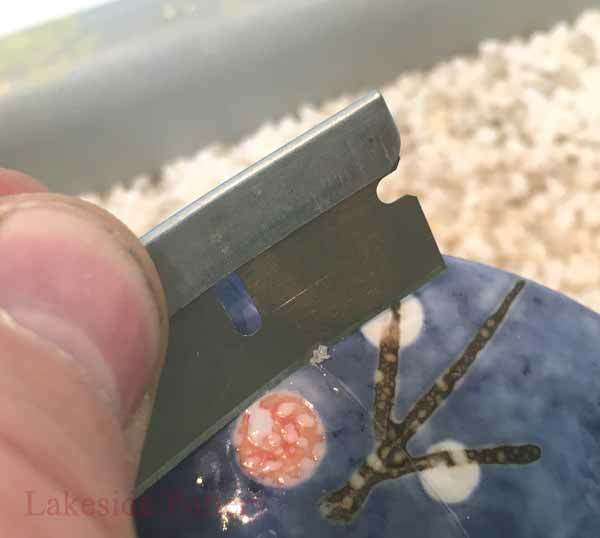 Any glue that oozes from the joint can be removed later using a razor blade. 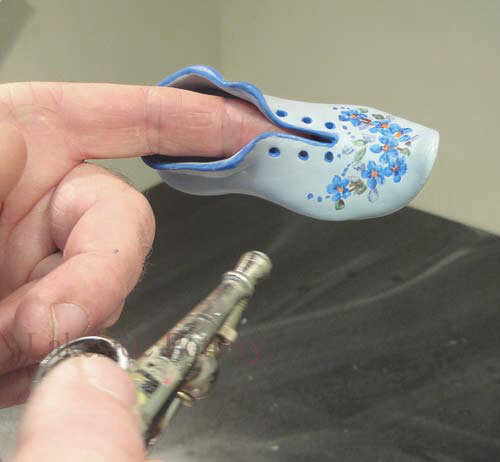 You may use tweezers to apply small pieces. 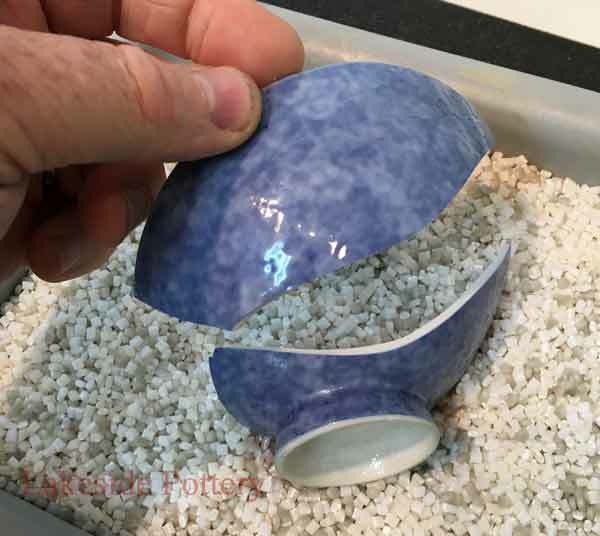 If you have a piece of pottery, ceramic or porcelain that is broken into more than a couple of pieces, plan the sequence in which you will attach each piece to avoid being left with a final piece that cannot be easily attached. 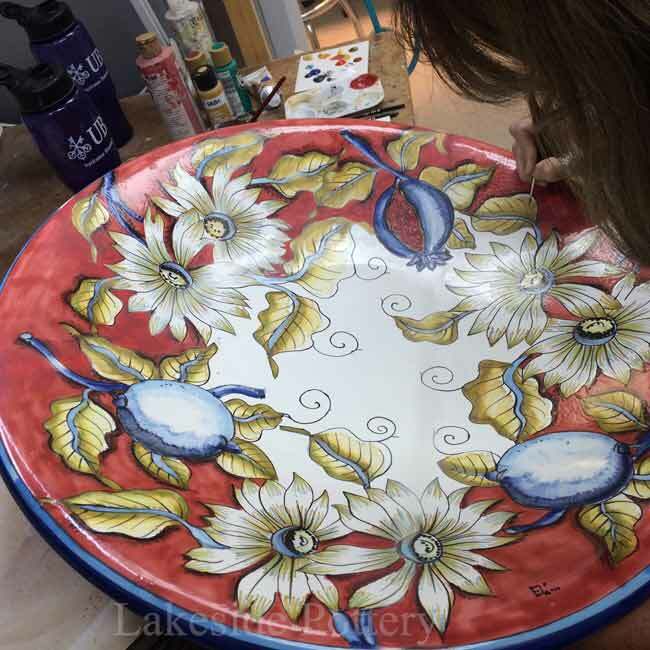 Numbering the pieces after a dry-run is important and will assist in the actual implementation. Let each joint cure before repairing the next one. F) Will tolerate wide temperature range without shrinking or expanding. We let the filler epoxy cure at 140 degrees F enabling the filler to cure very hard which is optimal for sanding. If the repair lines are not acceptable to you, and a seamless repair is desired, the required skill is much greater. 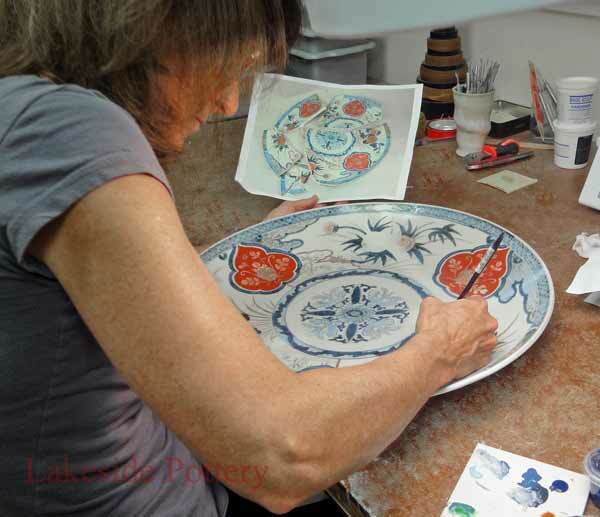 Color matching and re-creating an artist's work and style takes time. 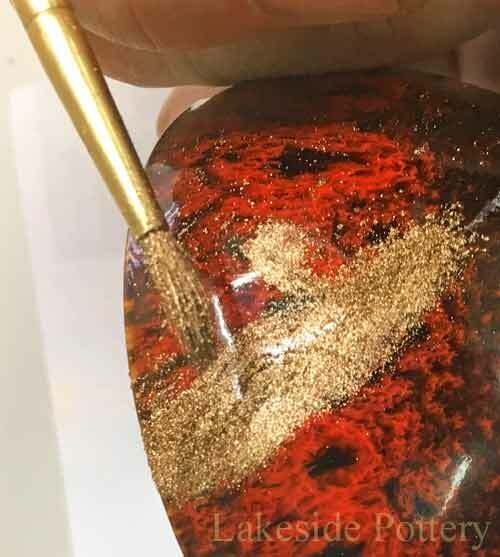 We use high end acrylic paints or coloring pigment powders and colored hardeners, mixed with proper additives to create strength. 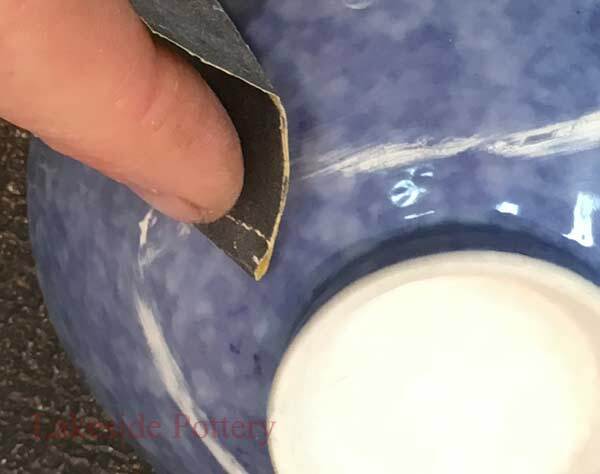 And finally, it is essential to match the glaze sheen and the right light reflection to emulate the broken item's glaze affect as close as possible - See painting theory tutorial.